I’m not going to give a long introduction to you—(inaudible)—Abdullah, but let’s start by talking about Afghanistan itself and then move a little bit into what Americans might think about it. And then, at half past seven, we will cast it open to questions from the floor. Maybe just to kind of provoke you slightly, I will give you the sort of negative view from outside is that the Pentagon says that sixty-four percent of the country is—of the population is living in areas under government control, with twelve percent under insurgent control and the remaining twenty-four percent in contested areas. So you have a very difficult task in terms of what you control. And according to the United Nations, more than 26,500 civilians have been killed. An additional 49,000 have been injured since the conflict began in 2001. You’ve got the problem of elections, of peace talks, and all these things which we can discuss. But how do you look at Afghanistan? ABDULLAH: Thank you for the opportunity. There is no doubt that the challenges are there. And sometimes the view is that if it’s not working, it’s worse, and it will not get anywhere. And the other view is to draw a very rosy picture. The real picture is somewhere in between. While we do have—security is a challenge, and we are dealing with it, the United States and the international community, the NATO forces are supporting. At the same time, life goes on. Millions of people are busy, younger generation and old, rebuilding their lives, hoping towards the future. And civil society has grown. The people are more aware of their rights—education, services, health, in other areas. The private sector is developing. Again, looking at the other side of the picture, this year we were hit by drought. Tens of thousands of people, millions of people, are being affected because of it. But nevertheless, we had rounds of elections, presidential as well as parliamentary, though challenging one; 2004 particularly. I have a lot to talk about it, but not today—(laughs)—in my mind. And so these are the challenges. But as a whole, the country is on the right path. And we do still need support. It’s not that we have reached self-reliance. But I’m hopeful. I’m optimistic. MICKLETHWAIT: When you look at the Taliban, who seem, by some people’s counts, to be resurgent, you managed to have a truce with them. But will there ever be proper peace talks? ABDULLAH: Yet—that’s yet to be seen. But let me give you a little bit of background, which I’m sure you are aware, as well as the audience here. When the announcement was made in 2012 that the withdrawal date is 2014, we could do very little about it at that time as Afghans. Personally, I was not in the government and I was in the opposition, but I was worried, because the obvious picture for me would be that foes and friends will make their calculus based on that. For Taliban, they exactly developed the strategy that we were anticipating to avoid engagement, contacts with the American troops for another two years, accumulate strength, and then come back full force after that. Those who were supporting Taliban, they thought that it’s only a matter of time before Taliban will get back. The others, which have not in the region—countries in the region which have not made up their mind until that time, they started making up their minds. The private sector, the issues of governance, were all affected, because when there is an uncertainty—and everybody was talking that 2014 will be the end of Afghanistan. MICKLETHWAIT: But do you—when you talk about the Taliban, how much of the country do you think they control? What kind of percentage of the population do you see as people who are loyal to the Taliban? ABDULLAH: Twenty-six districts are under their control. Loyalty to the Taliban, that’s a different issue. How much area do they control? That’s also—it would be difficult to give you a percentage. But then once they make the access to the areas and secure, then life becomes difficult for the people of those areas. But that doesn’t mean that they’re under the Taliban control. So the—but it is significant. Their control in the rural areas of Afghanistan is significant. Their plans was that—their plan was that in 2015, ’14-’15, at least they will have a few provinces completely under their control. And they made attempts; recently the attack on Ghazni, one of the provinces nearby Kabul. That one was—for them, they consider it as a success. But in two days they were repulsed, and the number of their casualties were three times, four times more than our side. But still, that was—that had an impact on the perception of the situation on Afghanistan. ABDULLAH: We do believe that there has to be peace talks between us and the Taliban. It’s not taking place as of yet. There are contacts here and there, direct contacts or contacts by our allies, with the Taliban. And for the talks to get serious nature, a few things are required. One is that those who are supporting Taliban need to be persuaded and convinced or persuaded that they should stop support. And one country is key to that, which is Pakistan. Inside the country, if Taliban are not under pressure, they might not be inclined to enter the talks. That is inside—I mean military pressure; and then, at the same time, efforts by us, or together with our partners, to seize the opportunities and moments when it counts. As far as the policy of our government, unity government is concerned, it has been very clear. Whenever there is an opportunity, we seize it. Not only that; we have taken initiatives as well. And we have been proactive. So far Taliban have been reluctant to enter serious negotiations. In these contacts, which have been made in the past few months, either with the United States or with other countries which are—their intention has been to facilitate talks between Taliban and the Afghan government. Taliban have only used it for their own propaganda. MICKLETHWAIT: Has there been any—I said we would come back to other countries later, but a particular thing; Pakistan you mentioned. Has there been any change in Pakistan after the election of Imran Khan and any sign of more pressure on the Taliban? ABDULLAH: There is a new government in Pakistan. MICKLETHWAIT: Do you fear a change in Afghanistan? ABDULLAH: We follow the news. We hear to—we listen to the statements. MICKLETHWAIT: That seems a diplomatic way of saying no. ABDULLAH: The point is that real change has not taken place as far as their policy towards Taliban. In the past they have made promises that they will bring the reconcilable Taliban to the negotiating table and pressurize the others. We have seen none in that sense. But still we are hopeful. We will continue our engagements with the neighborhood, with all the countries in the neighborhood, those who have some influence and leverages, with the hope that, based on the lessons which are there for all of us—it’s not just for Afghanistan—supporting these radical terrorist groups will not serve any country’s legitimate real interest. MICKLETHWAIT: And we spent a huge amount of money looking at it, or the West has looked at it. But I think in the last year the opium production was up eighty-seven percent at one time. Is that—what can you do to stop that? ABDULLAH: That’s difficult. That is the difficult part of it, because it’s mainly in the areas—mainly, almost completely, in the areas under the Taliban control. And let me give you a memory of mine about—it was 2002, Tokyo conference, the first international donors conference. In the sideline of the Tokyo conference, certain countries volunteered to help Afghanistan in dealing with different challenges. The United States, in support of the national army, made commitments; Germany in support of our police; Italy in law and order. United Kingdom volunteered to deal with the issue of opium. ABDULLAH: And it seemed very easy at the beginning. Later on we worked together diligently, but we learned how difficult a challenge it is, as long as the markets exist outside, as long as the precursors are being smuggled to Afghanistan through certain territories. And then the situation on the ground, it will be difficult. And later on, of course, when insecurity increased in certain areas parallel to that, opium cultivation also increased. MICKLETHWAIT: You’ve got, what is it, parliamentary elections and district-council elections next month? MICKLETHWAIT: Is that possible to hold in a realistic way, given the fact that the Taliban control such a big sway? ABDULLAH: There will be areas of the country which will not be able to participate. That was the case earlier as well; not in the parliamentary elections, not necessarily, but in the presidential elections. But most of the population nowadays are urban population, mainly in the centers of population—Kabul, Kandahar, Herat, Mazar-i-Sharif, Jalalabad, these areas. But still the unfortunate situation is it will not be possible to get everybody. MICKLETHWAIT: From that, I’m quite intrigued in your current relationship with the president and things like that. How do you—you have some differences. These elections, what do you hope to get from it? MICKLETHWAIT: But these elections, do you see these as a way to strengthen your power? ABDULLAH: The point is that it’s important that our focus is on the transparency of the election. ABDULLAH: The people of Afghanistan shouldn’t go through the same experiences as in the past. That’s the commitment, and that’s my commitment to make best efforts to prepare that for the people, to facilitate it. That’s one. ABDULLAH: —and enable it to deliver in the remaining term. That’s also very obvious. Then who’s the candidate, who is not. Some part of it is very obvious. As far as I’m concerned, I have not made that final decision. But sooner rather than later, it will be known that—who are serious candidates in the country. ABDULLAH: At the—the point is that, as citizens of that country, and also as people in position, we are aware of the challenges that we are faced with. But coming to New York or to the U.N. General Assembly, I’ve been—perhaps this is tenth time that I’m leading Afghan delegation participation. I’ve done much more than that in the U.N. General Assembly. And there were times that the argument with us would be that, as would be the government, but not in Kabul, not in the capital, outside, so the debate was whether you’re controlling five percent or 10 percent. And I would encourage people to accept that it was more than that. So Afghanistan—that shows the history of the country, and also terrorism and its impact on the situation in Afghanistan. A few years ago, Daesh was—nobody knew that there will be a phenomenon like Daesh. Later on the whole world was caught by surprise, and al-Qaida and itself, and also these other networks which exists. MICKLETHWAIT: Back in those days, I think when you were with Massoud and with the Northern Alliance, was that—did you—if somebody had depicted Afghanistan how it now is, would that have been—did you hope for much more? ABDULLAH: Absolutely. I have no doubt in my mind that in the past seventeen years we have missed opportunities, sometimes because of our own deeds, sometimes because of the factors which have been beyond our control. For example, the United States engagement in Iraq was an important factor. That in itself, while for Iraq—it’s a different—it’s a different issue from the perspective of Iraqi citizens or the situation in Iraq and Saddam Hussein, which we understand it. But the impact that it had on Afghanistan, we cannot make up for it today. I mentioned about the announcement of the withdrawal in 2012. That’s—that was another one. And I need—and prior to that, Cold War, the end of the Cold War, in leaving Afghanistan at the mercy of its neighbors in whatever happens, that was another phase. MICKLETHWAIT: But now imagine if I was just looking at the future a little bit now—except I asked you about the past—but on the future, if I was an American businessman or a businessman in this audience and I came to you, you know, what is the best sort of picture you can give me for, say, three years out? What is the reason why somebody here should invest in Afghanistan? 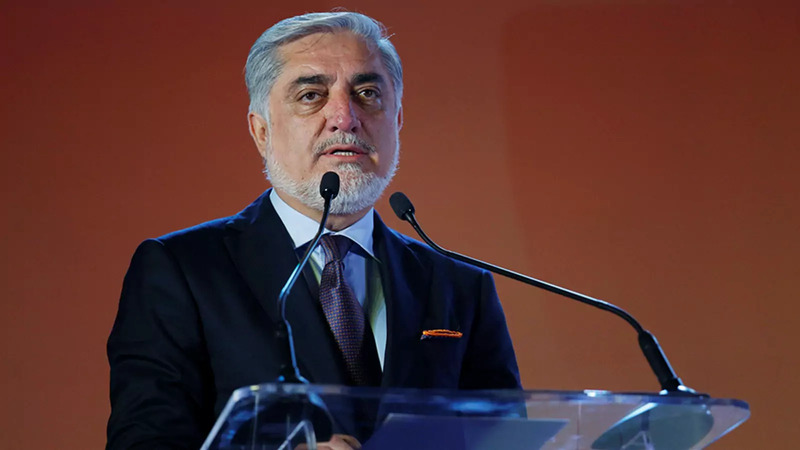 ABDULLAH: Well, we were talking earlier, yourself referring to the Taliban control of the area, so on and so forth, but Talibanization has been rejected by the people of Afghanistan. That’s an important factor. That was not the case in early phases when Taliban emerged, because there were instability—there was instability beforehand. And the emergence of Taliban was seen as a prospect for stabilization of the country. That’s not the case anymore. But at the same time, millions of people have access to education, awareness about their rights. Younger generation are busy. Well, things are happening. Sad and tragic things are happening among part of the city. And after one hour, you see the people busy making—going after their lives and rebuilding their lives and building for their future. This is the source of hope. And then, of course, you could look at it from different angles. Let’s wait and see if the situation normalizes in Afghanistan and they start doing something, or let’s be forward-looking but at the same time do something now which will have an impact on the security and the stability, but also as business will bring better results midterm and long term. The country is potentially rich, very rich, in terms of national resources. Just a few weeks ago I was in India and there was a trade show facilitated by the USAID. Like, 1,200 companies participated, four hundred of which were Indian, and then international, and also Afghans. And then they made deals. So all these things are happening. So you have two sides of the story. MICKLETHWAIT: One particular thing is Chinese companies people sometimes talk about. But the Chinese investment is often talked about, but there doesn’t seem to be much evidence of it on the ground. ABDULLAH: The point is that the level of trade with China is—which is—of course, the balance is towards our imports from China, and other neighboring countries have grown. They had an investment in the copper mines. But then what happened? When they started working on it, the historical city underground was discovered, which—artifacts more than two thousand years ago, and whole city underneath. So they stopped the—we had to stop the work. So it’s being talked about as the U.S. and allies are making sacrifices and the others are taking benefit of it. The sacrifices made, we value those sacrifices alongside our sacrifices of our people, our partners and allies. But it’s not that the others are taking the benefit. Those who have the foresight, the business communities, they are really making—doing good business there. MICKLETHWAIT: Can I ask you a bit—can we switch a little bit towards the U.S. now and the view from here? Again, to put some numbers to it, I think the U.S. has appropriated about $126 billion for Afghan relief and reconstruction, including seventy-eight billion (dollars) for security. But last year, as I said, you had the deadliest year since 2001 in terms of civilian deaths, and you still have the attacks and you still have Americans dying occasionally. Why should America keep extending blood and treasure in Afghanistan? ABDULLAH: Because of the figures that you mentioned. Why the United States was there in the first place; that’s the main reason. There were times that we would come to Washington or New York or go to the think tanks to try to bring awareness that the threat in Afghanistan or emanating from Afghanistan or imposed upon Afghanistan from terrorism is not just for Afghanistan. It’s also for the United States. MICKLETHWAIT: People changed their mind. ABDULLAH: The people change their minds. In these sort of—in the global security environment that we are in it, rather than the sort of calculation two plus two makes four, foresight, having foresight in depth of understanding of the situation, is something that is expected from global leadership, which the United States is in that position. MICKLETHWAIT: You must have listened to President Trump a day or so ago talking about national interest and American interest first. And even accepting your arguments, there seems to be at least some move and some force inside the White House, perhaps from him, to look at maybe taking back some troops. I agree that—I think Syria is perhaps a greater priority, but Afghanistan is certainly something that is on the mind of this White House. Does that worry you? ABDULLAH: The fact of the matter is that South Asia policy, which was announced, which had positive angles and positive elements in it, including the regional approach towards the situation, part of it was also the fact that it was condition-based, not based on a specific timeline; and parallel to that, the support for the national army, supporting our air force, doubling the size of the commando forces. MICKLETHWAIT: Now America’s longest war. ABDULLAH: Longest war. And at the same time, we are sure that there is much, much deeper understanding of the situation there. And I hope that terrorism would be a phenomenon that we can just wish it away, which it’s not, and also certain other challenges that humanity is faced with. And talking about the progress, while headlines will not give you signs of progress, just talking about figures a few years back, some 140,000 international troops were there. Look at—make a calculation about the expenditure at that time and compare it with what is happening today and the number of casualties of the international troops in the past vis-à-vis what is happening today. And now the main burden is on our shoulders. But at the same time, we are grateful for the support extended to ourselves. MICKLETHWAIT: Just as much to educate the audience as anything, if America was to pull out—I think your budget is sixty-five percent from them—what would be the consequences for Afghanistan? ABDULLAH: You’re talking about today, tomorrow? MICKLETHWAIT: In six months, in a year’s time. ABDULLAH: A premature withdrawal. The consequences is not just for Afghanistan but for global peace, for stability in that part of the region and for the United States national-security interest. It will be big. And I’m sure that, you know, there is enough institutional memory and depth of understanding of the situation that we will not get there. But talking about condition-based, it’s also clear for us, as citizens of that country or as authorities, that there are things that we need to do in order for our partners who are supporting to see the future more clearly. MICKLETHWAIT: And sometimes—just recently you heard some talk about people making the kind of war private, that you could bring in outsiders to do this. America could be paying other people to do this. Is that remotely realistic? ABDULLAH: I’m a strong supporter of the private sector, but not in the field of war. MICKLETHWAIT: Very advanced from a—and within that, one last question; then we go towards the audience. In terms of the country, obviously America matters enormously. You mentioned Pakistan. You talked about China a bit from a commercial point of view. From a political point of view, do you feel as if China is invested in what happens in Afghanistan? ABDULLAH: —and Old Silk Road initiative and certain initiatives. These are important projects for them. For any project of such a size to be implemented, security and stability is a prerequisite. That is one. As far as Afghanistan is concerned, we have good relations. China is one of our neighboring countries. And we are living in a very interesting neighborhood. In the past it was the Soviet Union. Now it’s Central Asian republicans, which are bordering Afghanistan; quite a few nuclear states around us, potential one and otherwise. So this is—but to turn Afghanistan—what will be our hope? To turn Afghanistan into an area of cooperation rather than competition. This also might sound like wishful thinking. But at the same time, as the more we look at it, the more we see that there is a lot at stake for many countries in different ways. It’s not just the threats that should bring us together. It’s also the opportunities which are there, which hopefully that vision will materialize. MICKLETHWAIT: I’m going to ask you one very quick question on that last thing. You obviously—Iran is one country close to you. MICKLETHWAIT: If America was to escalate things there, what—you’ve talked about the effect of the Iraq war. Would Iran have a similar—any kind of conflict with Iran, would that have a similar push over, spillover into Afghanistan? ABDULLAH: How not? We have millions of refugees there. It’s a neighboring country. We have a good level of trade with them. And we understand the context of security in the region. To a large extent, Afghanistan had expected its neighboring countries not to let their relations with Afghanistan be under the impact of their relations otherwise, and most of the countries in the region have respected that position, but it’s not realistic to see the situation deteriorating otherwise and expect that we will not be affected adversely. So my answer is that, yes, escalation there will have a negative, adverse impact on Afghanistan. MICKLETHWAIT: OK. And I think you’ve put that somewhat diplomatically. ABDULLAH: Half my life I’ve been a diplomat and the rest of it a student and I also fought for a while. MICKLETHWAIT: There’s a gentleman there. If you could—if you could identify yourself and use the microphone and we will try to get as many questions as possible. Q: Excellency, my name is Roland Paul. I’m a lawyer. I’ve been in the U.S. government a couple of times. Just to round out the discussion of the military situation in Afghanistan, which you introduced at the beginning of your talk, what is the estimated ratio between the strength of the Afghan armed forces as compared to the number of Taliban under arms? And secondly, what is the ratio of the casualty rate between the two? ABDULLAH: If I may start from the second part of your question, for example, if I take one example, which is Ghazni province recently, which Taliban for two days they had that province under their control, their casualties were, like, between three to four times higher than the casualties of our armed forces and security forces. That’s one. The total number of our—the ceiling of our security forces is up to 380,000 forces. While Taliban in numbers, it’s difficult to give an exact figure. It’s much less, it’s much less. The point that—the fact that their targets are not just the—are not just the security forces, but also civilians. And any hospital could be—could be a target, a mosque, a university, a hotel, market. The figure of seventy-nine casualties that yourself mentioned earlier is because of the suicidal attacks. That is that. And also, there is—talking about suicidal attacks, being in a situation myself during the Soviet occupation of the country in the resistance against the Soviets, when the guerillas were planning to attack, the first thing in their mind would be how to retreat back. But when there are groups, they only plan one way. ABDULLAH: They don’t—they don’t plan about their retreat. That’s easy planning. And that shows—that gives you the picture when these people—they are after targets. If they didn’t get to their main target—whatever, military, civilian, or whatever—if there is a crowd there, that’s their target. So that’s the complexity of the—of the situation in the country. MICKLETHWAIT: OK, so the gentleman at the back, buried a bit. Q: Thank you so much for sharing your thoughts with us here today. So two weeks ago, the Wolesi Jirga along with a few high-profile Afghan political figures, including the former president, called for a review of the bilateral security agreement between Afghanistan and the United States. Do you think this has legs? Is this going to go anywhere? Or was that simply a moment of political showmanship? Thank you. MICKLETHWAIT: Can you—can you quickly identify yourself as well? Q: Ankit Panda with The Diplomat. Thank you. ABDULLAH: Good. The fact what Wolesi Jirga talked about it, it was about the implementation of bilateral security agreement, that it is not being implemented in a comprehensive way. That was the call from the—from the members of the Wolesi Jirga. When it came to former President Karzai, he took the opportunity to use that occasion or another meeting which was for another purpose to raise his view and his point of view, which I think it has been quite a few years since he has developed the idea that the United States is there for ulterior motives and then a bilateral security agreement is not working. But this is his personal view. And when you—if you are talking about the people of Afghanistan, from time to time, the people also will have complaints that if the international forces are here and Resolute Support mission is helping Afghanistan, why is it that we don’t have security and stability in the country? This is—this is the citizens’ views. But if you ask the citizens that, is the ending of the bilateral security agreement the solution? The people will say—the absolute majority will say no. I hope that one day we will—we will achieve self-reliance in terms of our security and defense, but the people understand that we are dependent on the support from the international community. Indeed, as far as the United States is concerned, that’s the bilateral security agreement is the framework which has provided that support. MICKLETHWAIT: Another question down here. It’s the gentleman, then I’ll come to you. I’m sorry. Q: Nick Schifrin from PBS NewsHour. Sir, it’s good to see you again. I used to be the ABC News correspondent in Kabul. And I look forward to talking for the next couple of days as well. I have two quick questions. A different question about the context of Iran, influence on the Taliban. In your opinion, do you think Pakistan has lost a little influence and has Iran gained a little influence on the Taliban? And when it comes to the U.S. strategy, it seems part of the strategy is to keep the strategy going, i.e., make sure that President Trump doesn’t pull the plug. And do you think, from your conversations with Americans and from where you sit, do you think this strategy is sustainable under President Trump? Thank you. MICKLETHWAIT: Has the Iranian influence there increased? ABDULLAH: A few years back, they didn’t have contacts with the Taliban, but now they do. So it’s different from what it was a few years back. As far as sustainability of the policy is concerned, talking about—talking to the—to the colleagues, to the national security team, those who visit us, or in interactions at different occasions, there is a—there is a belief and confidence over the success of these ulterior strategy among the national security team here. And that’s well-founded, I should say. And, of course, if the—if the question would be that whether a policy will yield the results needed in a short period of time, the answer is that what is needed is time. It’s important that we are in the—in the right path. I think the administration today, as a whole, they believe that that policy is working and also part of the responsibility is on us to help make it work better. MICKLETHWAIT: The lady just there. Q: Masuda Sultan, entrepreneur and women’s rights activist. I’ve been working on Afghan issues for the past seventeen years. And often, the one trillion dollars of natural resources Afghanistan has cited as promising and the most promising for getting Afghanistan on its feet economically, yet mining revenues 2016 were less than one percent of the budget, 2017 they were higher, but still have not produced the revenues that we’ve been hoping. And so my question is, what is the major impediment to the mining sector? And how do you see that producing fruit in the future? ABDULLAH: Some of the contracts on the mining sector, which was pending for years and years, we made sure that those are respected and implemented, and it will have an impact. Security is, of course, a challenge, and also perception of security is a—is a challenge there. And talking about the business environment, the private sector development, there has been a lot of progress in that field. There were legislative impediments. Corruption is still an issue, a serious issue that we have to deal with. Bureaucracy and the culture of not looking friendly towards the business, these were all not at the top-level leadership, but at different levels these have been, like, impediments. But the value of natural resources in Afghanistan from lithium to chromite to gold, gas, oil, precious stones, it’s a rich country, as I mentioned, potentially rich country. Unfortunately, we have not been able to utilize the resources. There was an idea earlier that in order to best utilize these natural resources, let’s have a stable situation and then do it. I don’t think that that—that is going to—that will—that will answer the needs of the country. There are experiences of other countries, like Azerbaijan. In the midst of their internal strife and serious security challenges that they had, the forward-looking leadership, as far as the business is concerned, they awarded contracts, which in the first years, it seemed as it is a sellout, sold out. But now they are—the whole benefit, the whole profit goes to the—to the Azeris rather than—rather than the companies which had started. So it’s that sort of a look and vision implementation of that which will encourage businesses to go there. MICKLETHWAIT: Just following, just quickly, sir, adding one thing to the—to that question. There are sometimes rumblings from the White House that just as occasionally they say why, what are we doing in the Arab world and not getting oil, they sometimes say about Afghanistan, that we should get the minerals. Is that something you think? ABDULLAH: I think when a country like the United States, which has invested so much in that country in blood and treasure, and there are opportunities, it’s, of course, for the private sector to step in and to look towards that, those opportunities. I’ll not repeat the same word that you yourself used, but I would say that, yes, looking at it from—we also want to look out—to Afghanistan to be looked at, not because of—because of the challenges which are there, which terrorism has been a challenge, which was the prime reason for the international presence there, but opportunities as well. The local of Afghanistan for the region, it’s an opportunity. It’s a unique location. There is no alternative for Afghanistan. Connectivity between South Asia and Central Asia could only take place through Afghanistan. And a lot is happening in that—in that field. MICKLETHWAIT: You should be the belt in the road. There was a question here. To the lady there and then the gentleman. Q: Just picking up on the idea of rumblings from the White House, could you reflect on your relationships, your dealings with the Trump administration in terms of seriousness, consistency, vision, and also how that compares to the Obama administration? MICKLETHWAIT: Is the—is the—is the Trump administration in your dealings with them, are they as, I think, serious, visionary, and strategic as the Obama administration was? MICKLETHWAIT: This money buys you something. ABDULLAH: No, the—we are—we are—we are—we are dealing with the—with the leaders here, those who are interacting with us. Last year around this time I was in Washington and I had meetings with the leadership from vice president and the leaders in the security sector and otherwise. And they want to be helpful. South Asia policy is an example of that. And at the same time, like, it wasn’t that previous administrations didn’t expect results. I remember President Bush at that time, he was saying that when is it that we are going to get Osama bin Laden? Why is it? The CIA is there, you are there, where is Osama bin Laden? While we were pointing fingers towards Pakistan that you could find him there. But anyway, President Obama, the previous administration also, rightfully, they expected us to deliver. And I don’t see a change in that respect. But Washington, there will always be debates in Washington, there will always be different sides of looking at the situation. That’s also—we take it as normal. Dr. Abdullah, could you, to the extent that you want to, just sort of go around the circuit—India, Pakistan, Iran, Saudi Arabia—your neighbors and near neighbors and just a discussion of their influence. I’d like you please to go beyond influence. What is it that they seek in Afghanistan in their national interests, which if they achieve they will then leave you alone? ABDULLAH: Let me start from the easier part, which is the Central Asian republics. Of course, they have some concerns about the presence of some terrorist elements alongside Taliban, which are fighting against us, but the threat is towards them. At the same time, they are looking towards Afghanistan for an opening as far as trade and transit is concerned. The Central Asian republics have opened up a big deal, Uzbekistan in the past few years, things which would have taken years and years of negotiations, including our trade and transit, transit and trade agreements, it took us just a few interactions with the leadership. That now as a result of this, that northern route is opened up to Europe for us, Turkmenistan. There are—there are projects, electricity from Tajikistan and Kyrgyzstan, going through Afghanistan to Pakistan, that is supported by the World Bank. These are the type, like, gas pipeline, which has not materialized, but there is a lot of progress in the past few years in comparison to whatever it was earlier. India has been supporting Afghanistan in the past seventeen years and also when we were in the resistance against the Taliban and al-Qaida. They were—they were on the side of the resistance or official government of Afghanistan. They have continued with the same policy. And their offer to us is that you tell us your needs, we will see in the realm of our possibilities that we can—how we can help, because stability in Afghanistan is in their interest, not insecurity in our country. The same applies to the Central Asian republics and also China. China is also concerned about the Uighurs, which are fighting alongside Taliban against us. But also, China’s economic outlook, that is also obvious that they have that type of look towards that region as well. As far as Pakistan is concerned, I think this is the question that we are having with them, that what is it that could be gained from stability in—instability in Afghanistan? And their answer is that we want stability in Afghanistan. We cannot find how accommodating Taliban leadership in allowing them to operate and be behind most of those activities inside Afghanistan will help stability in the country. This is—this is—this is a question that is yet to be answered, but we really don’t have—don’t have an answer for that. Because good relations between us and Pakistan, it’s in our interest. It will—it will enable us to address the challenge of security and terrorism in a much better way. At the same time, trade, transit, economic relations, people-to-people relations. We have refugees in Pakistan, which Pakistan has hosted for many years, which we are grateful to them, and millions of them also have returned in the past few years. While security is still a challenge, last year we had one million refugees return back, mainly from Pakistan, but also from Iran. Then there is another reality, that in recent years the relations between the United States and countries of the region have evolved differently. And countries also make their calculus based on—based on that. And Iran, to a large extent, had managed to keep a distinction and to accept the role that the United States was playing here in Afghanistan in support of stability and better future for the people of the country from their differences with the—with the United States. MICKLETHWAIT: The gentleman also mentioned Saudi Arabi. ABDULLAH: Saudi Arabia, for example, while previously countries have gone through different attitudes and policies towards Afghanistan, recently the most important conference between the ulamas, ulamas from the Islamic world, took place in Saudi Arabia, which the announcement was that the war in Afghanistan is not—is not permitted or doesn’t have any basis from the—from the—from the views of the—from the point of views of the Islamic scholars, which was—which was good. In fact, it was the rejection of what Taliban were doing under the name of Islam. So there is a better understanding of the situation between all these countries. Turkey is playing an important role in Afghanistan as a—as a NATO member, but also as a country which had—which has historical good relations with the country. Their troops are there, they are also supporting us in the—in the areas of reconstruction and rehabilitation of the country. So every country is playing its part to some extent to help Afghanistan. But our concern will be that, under the pressure of other conditions, which are beyond Afghanistan’s control, things might start changing, which is—which is a cause of worry and concern for us. MICKLETHWAIT: Those two, this gentleman in the back and then—so then—just then one in the back and then down. So two, maybe we’ll take two questions together and then that might be close to the last one. Q: Great. Thank you. Jake Cusack, CrossBoundary. You touched a little bit on your economic agenda. I’m curious, in the seven months or so you have until the elections if there’s any specific items that you’re trying to push forward and hope to see progress on, whether it’s in mining, as mentioned, energy, the gas transmission line. Is there any hopes of moving some of those forward concretely before the election? MICKLETHWAIT: Maybe just take the—there’s a gentleman just in front of you, too. I’d like to know what your strategy is to deal with opium and Pakistan, if you see that that strategy is getting any kind of traction. Q: Opium. Yes, opium and Pakistan, what’s your strategy to deal with those two particular issues and whether you see that strategy bearing any kind of traction. ABDULLAH: The question from the gentleman at the beginning was? MICKLETHWAIT: The first question, I didn’t quite hear it either. The first one—there was the—there’s opium and Pakistan. And the first question again was to do with? ABDULLAH: That one was not clear, the first one. Q: On your economic agenda. MICKLETHWAIT: The economic agenda, I’m sorry. Q: Yeah. And then what you could specifically make progress on before the elections, if anything. ABDULLAH: Progress before the election. MICKLETHWAIT: Yes, economic agenda and progress before the elections and then opium. ABDULLAH: Yes. Part of the economic agenda has been the support—the main part has been support for the—for the private sector. While we are, as far as sustainable development goals are concerned, we are focused there because our national programs and national priorities are aligned with the sustainable development goals. Still, we have—we have poverty, we have—we have unemployment, we have hunger, and also other challenges that an underdeveloped country or developing country at war is faced with. That’s one focus. There is a humanitarian situation, internally displaced people, people displaced because of the drought, because of the war, returnees, so there is a humanitarian agenda. And then there is the private sector development creating an enabling environment for the private sector to develop. And there, there is an export strategy, so in the areas that we have comparative advantages with added value chain, now the products has reached as far as America and Europe, which was never heard of in the past. It was only these traditional products, like carpets and dried fruits, but now it has gone beyond that. So the—also, part of the focus is on the productivity inside the country, so to create a balance between export and imports and using the potential of Afghanistan for connectivity on trade and transit, which is, in itself, it will have an impact on the—on the—on the economy and then the natural resources. So we started from investing—Professor Nadiri, which was senior economic adviser for former President Karzai is here—we started on investing in infrastructure, which was ruined and damaged as a result of the continued war and conflict in that country, and focused on certain areas, including power, electricity at the beginning, the telecommunications networks, for example. The telecommunications companies, mobile companies, millions of people are using it in all parts of the country. It was an area which a big investment was done. And then at this stage, the focus is on natural resources, how to—how to—how to bring investment there. MICKLETHWAIT: Very quickly on the opium question, what is your strategy on that? ABDULLAH: The different strategies were implemented in the past, but I should admit it has not been successful. And today, unfortunately, most of the problem or the cultivation takes place in the areas which is under the Taliban control. So it is very linked to the security situation, and it’s part of the—it’s part of that vicious cycle of helping one another. Insecurity has created, has facilitated for the people to take advantage of that situation, the traffickers as well as those who are beyond this chain or networks of smugglers. And for opium, one of the issues and challenges that we are faced with is that the market there is very attractive, very attractive., And there are countries which have—which have helped Afghanistan. There are countries which only complain about it and they’re not playing their part. There are countries of transit, there are countries of end destiny, which are—which are not—which are not—which are not—which are not taking a part. But it is a challenge, but this is one of the areas that we should—we should admit that we have not—we have not—we have not succeeded. With Pakistan, we will continue our engagement with them with the hope that they will be convinced that these groups, the groups which are using ideology, but at the same time terror tactics and violence and killing civilians, will not serve any country’s interests. There is—if there is one lesson in the past three decades, that’s one, that these groups have their own agendas. At the end of the day, they will pursue their own agenda rather than the agendas of the countries or country which has helped them. MICKLETHWAIT: Thank you very much. It strikes me that your country is the living evidence of that horrible first rule of diplomacy that my enemies enemy is my friend and so I shall try and do everything possible to help provoke things. I would like to thank the members for their questions. I’d also like to thank Dr. Abdullah. I think that it is normal in these events for people to come and be somewhat distressed by the lack of candor that people have exhibited and then add to that a general sense of jealousy about the easy life by which politicians are somewhat endowed. I think most people coming here would have been impressed by your ability to analyze problems, even when they’re not very favorable to your country and also by the fact that your job is a very, very hard one, and we wish you all luck.